The EMCORE Optiva Desk Top Card Racks (DTCR) are ruggedized aluminum housing units that accept any Optiva insert card. 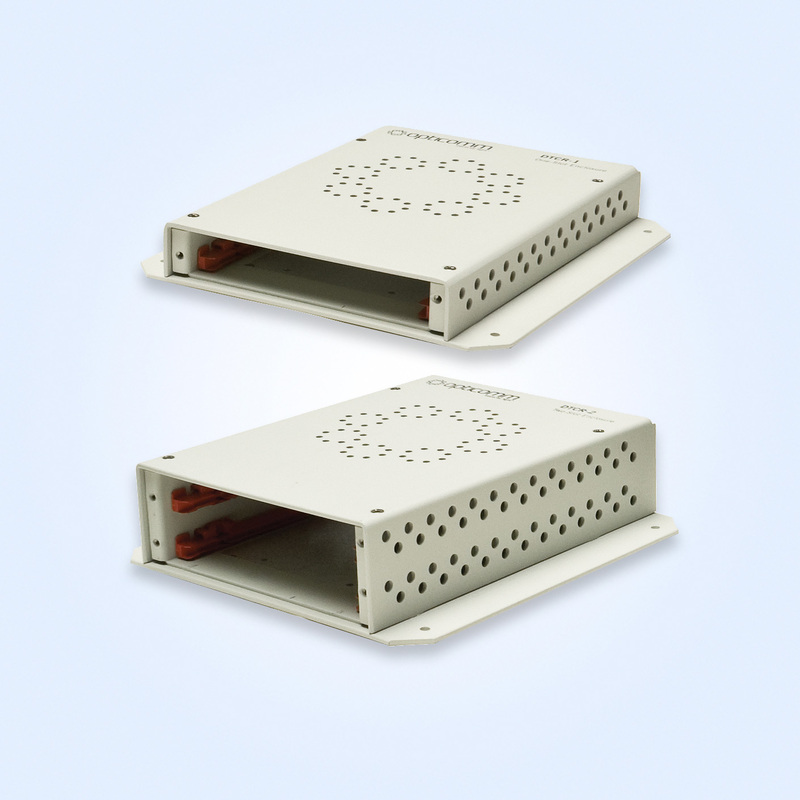 The 1-slot (OT-DTCR-1) and 2-slot (OT-DTCR-2) enclosures both use an external wall-mount power supply and have a standard 2-pin DC power connector option for more custom applications. These enclosures are perfect for installations that are space constrained or do not require rackable equipment.